This Complete Guide to Escalante, Utah will have information for your visit. In the lodging section you will find links and information for hotels, motels, bed and breakfasts. You then will be able to view activities in Escalante, Utah by category which include horseback riding, ATV tours, air tours, biking, entertainment, fishing, golf, hunting, museums, paintball, ranch activities, rappelling, river running, shopping, snowmobiling and skiing. You may want to purchase a Travel Packet from AreaTravelPackets.com to help plan your trip. If you’re going to camp or bring along your RV trailer on your visit to Escalante, Utah, then you will want to check out the camping and RV park section of the website for links to great places to stay. Everyone will want to find the best places to dine when visiting Escalante, Utah. Check out the dining section to find your restaurants. Escalante, Utah is an excellent base from which you can explore the Grand Staircase Escalante National Monument, Bryce Canyon National Park, Capitol Reef National Park or the Glen Canyon National Recreation area. Also close to Escalante, Utah are the Dixie National Forest, Kodachrome Basin State Park, Anasazi Indian State Museum and the Escalante Petrified Forest State Park. In Escalante, Utah you’ll find a variety of lodging and dining options. 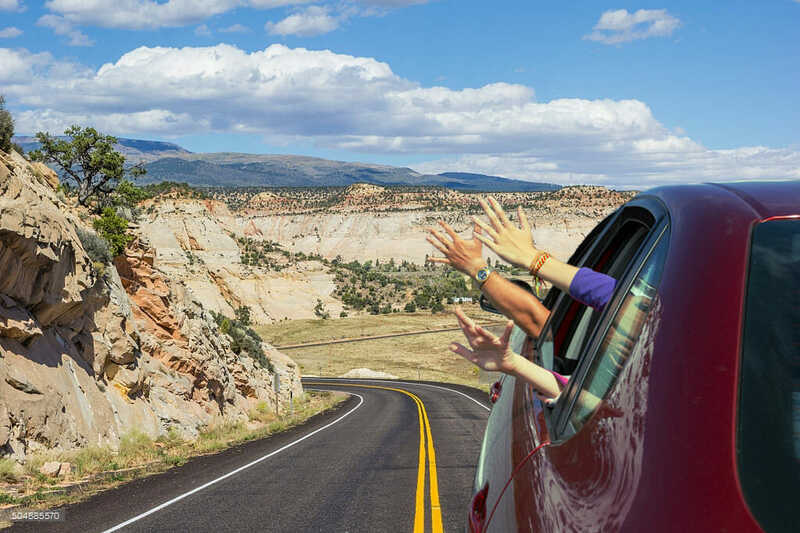 While Escalante, Utah is not a large town it does offer many of the services you’ll need to enjoy a vacation amidst the most spectacular scenery in the world. Although the Anglo-American settlement of Escalante began in the spring of 1875 by a group of men from Panguitch desiring to find a location with a milder climate, signs of inhabitation of the area reached back much farther with evidence of the Fremont and Anasazi cultures in the area. In 1866, during the Black Hawk War, Captain James Andrus’s cavalry pursued Indians through the area, naming it Potato Valley. A.H. Thompson, who was the chief map maker of John Wesley Powell’s crew, traveled through the plateau regions on different trips naming the points and mapping the trail. On an excursion in 1875, Thompson’s party met four Mormons from Panguitch planning to establish a settlement in the area. Thompson advised the pioneers to name it for Father Silvestre Velez de Escalante, who passed near the Escalante River on his expedition from Santa Fe to California in 1776. Drawn by the mild climate and abundance of grazing land, the settlers raised cattle and sheep. Dairying, timber harvesting, and mining were also important to the economy of the settlement. 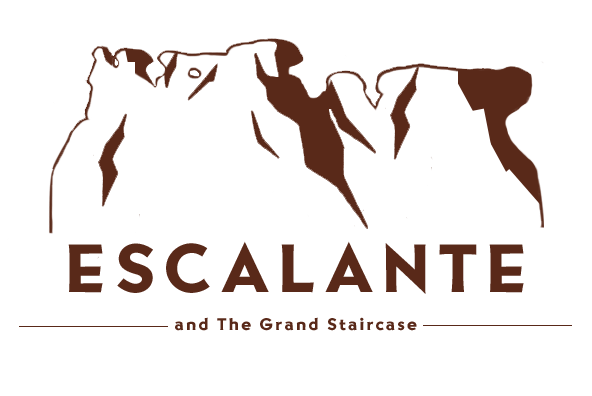 Escalante remained an outpost on the Mormon frontier for many years and was the last community through which the famous Hole-in-the Rock expedition passed in 1879 on its epic six-month journey to the San Juan River in southeastern Utah. Blessed with beautiful topography, fertile lands, and a relatively long growing season, Escalante has been called the “Land of the Sleeping Rainbow.” The early pioneer settlers built more than fifty homes of native brick which stand as a legacy today. The town was laid out on the “Zion Plan,” with four homes to the block and ten-acre farms surrounding it. Wide streets and neatly landscaped yards with corrals and barns are still characteristic of the town. Home industries, including gardening, home canning, livestock raising, quilting and making of handicrafts continue as a rich part of the community life. Many current residents, as in the case in most Utah communities, trace their roots to a few hardy pioneers. Those frequently associated with Escalante are the families of Willard, Henry, and Thomas Heaps; Hosiah Barker; Earnest Griffin; Jared Porter; Don Carols Shirts; Napoleon and Lorenzo Roundy; Perry Liston; William Henry Deuel; Joseph Spencer; William Alvey; James McInelly; Morgan Richards; William Cottam; and Andrew P. Schow, who served as Mormon bishop and leader of the community for thirty-five years. During the 1930s Civilian Conservation Corps (CCC) camps set up under federal New Deal legislation brought new life to the community and improved roads to Posey Lake and Boulder. However, increased government management of public lands brought new and sometimes onerous restrictions to some whose livelihood was based on the land. World War II saw a migration to the industrialized cities, as local growth was limited to what the natural resources could sustain. Hardy pioneers, closely knit by family and neighborhood relationships, build a strong, conservative community. Isolated from major highways and large cities, the people battled the elements to build irrigation systems, electrical and telephone services (which eventually became locally owned), service stations, a bank, an airport, and other facilities which have made Escalante an important oasis for the thousands of tourists who visit the area each year. Visitors come to hike the Escalante River, follow the historic Hole-in-the-Rock Trail, view ancient Indians structures and rock art, traverse the magnificent Burr Trail to Lake Powell, and drive the 120-mile-long “Scenic By-Way”-Highway 12-connecting Bryce Canyon National Park and Capitol Reef National Park, along which Escalante is located in the middle. The community is still dependent on a multiple-use-of-resources system with tourism, livestock, and timber the mainstays of the local economy. The community remains predominately Mormon; students attend the local elementary school, the junior high school, and the high school. Escalante reached its largest population in 1940 with 1,161 residents, but it has dropped to its lowest number, 638 inhabitants, by 1970. Since 1970 the population has gradually increased to 818 in 1990.